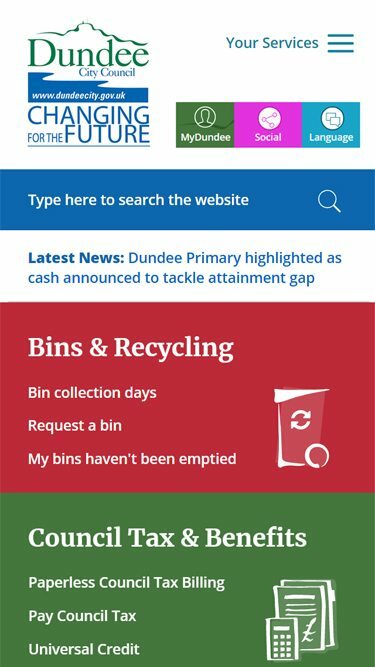 In 2017 we were appointed to work with the DCC website project team to deliver the new city council website. 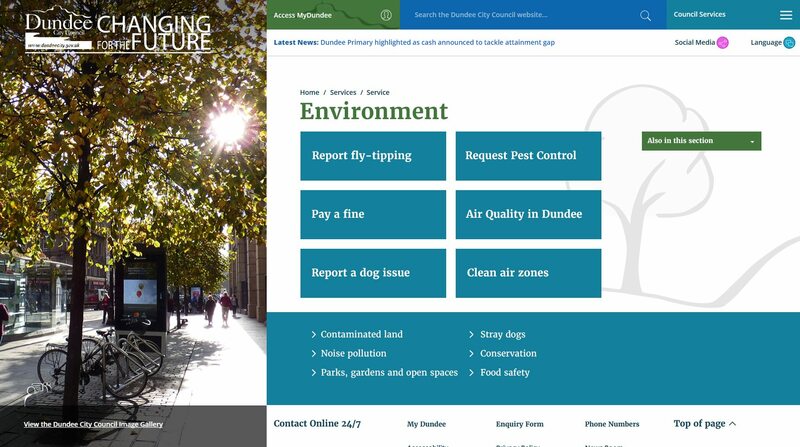 The previous website required refining, simplification and modernising to created an easy to use website allowing the public to access all council information. 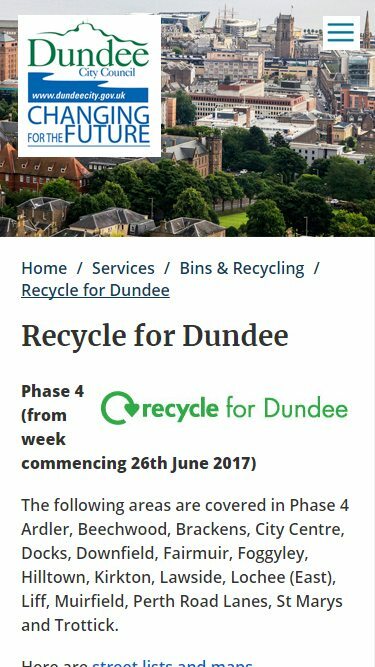 In addition the council wanted the design to be attractive, appealing and show Dundee as a vibrant and developing city. We put out online surveys, ran focus groups and user testing sessions to gather evidence about the usage patterns of the old website. Working closely with the client and using this information, we identified positives and negatives of the existing website and built a list of priorities. We then created wireframes with a suggested structures and UX journeys based on the evidence. The selected designs were then sense checked against members of the original focus groups before a design was selected. 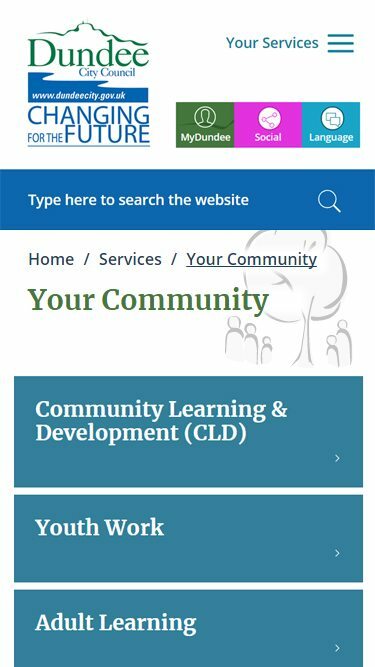 We worked with the in-house DCC team to provide all html, css and js for them to integrate with their in-house CMS. In addition the development team advised throughout and provided coding support where required.